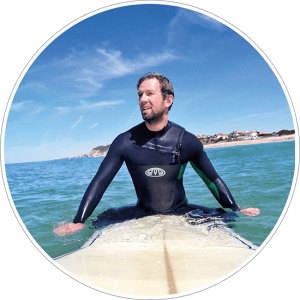 A thrilling adventure, swimming across the Portuguese rugged coastline and jumping into the Atlantic Ocean. 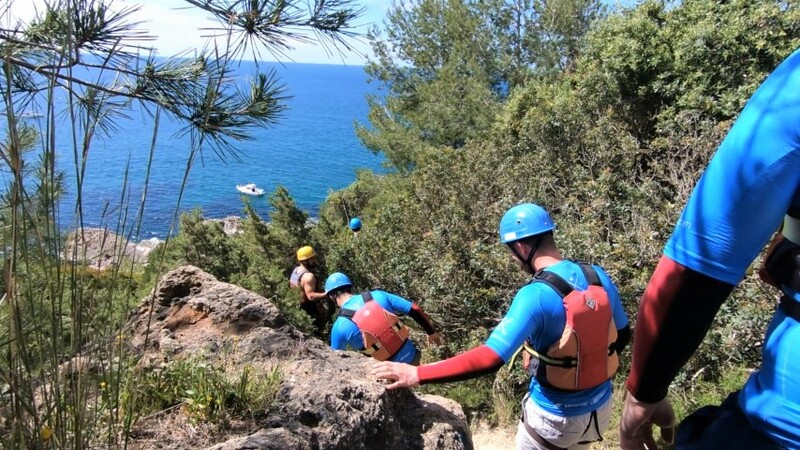 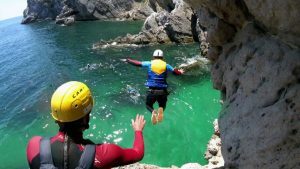 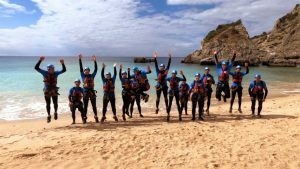 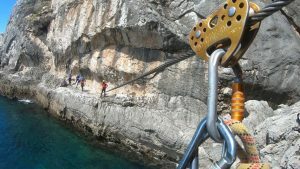 Coasteering is one of our most popular outdoor activities in Portugal, because it is a unique way to enjoy famous tourist destinations like Algarve & Lisbon. 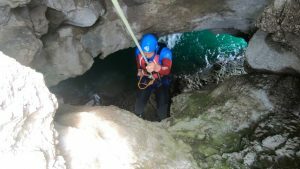 Push your boundaries and have fun cliff-jumping, discovering caves and climbing up rock formations. 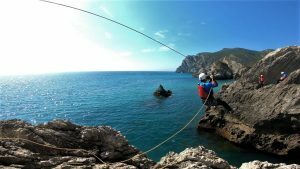 Sesimbra is situated one hour drive from Lisbon, worth the trip, as this is one of the lesser known areas of Portugal and it’s natural beauty will certainly blow you away. 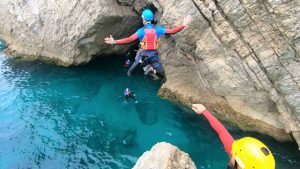 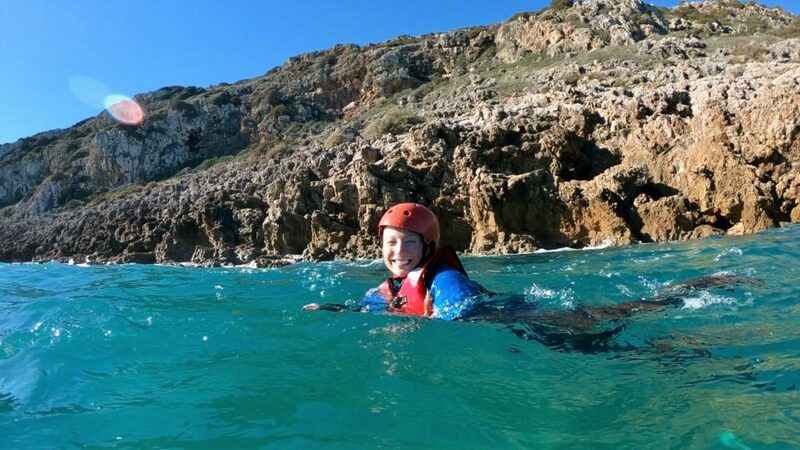 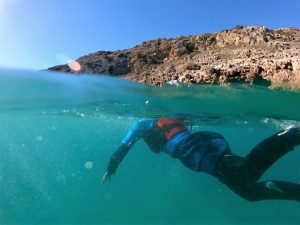 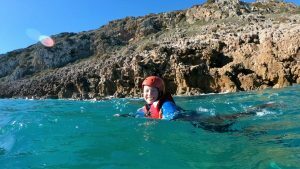 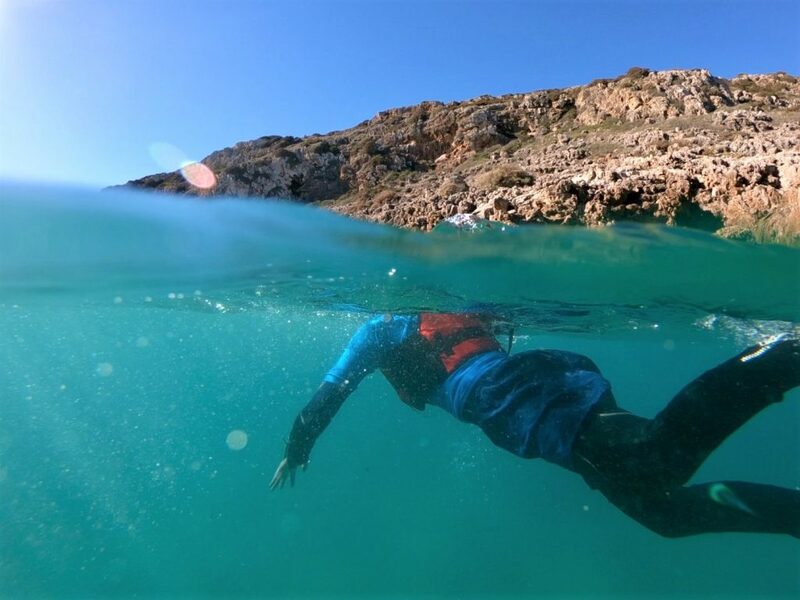 Sagres in the south offers lots of great coasteering opportunities and is blessed with tons of interesting caves to explore. 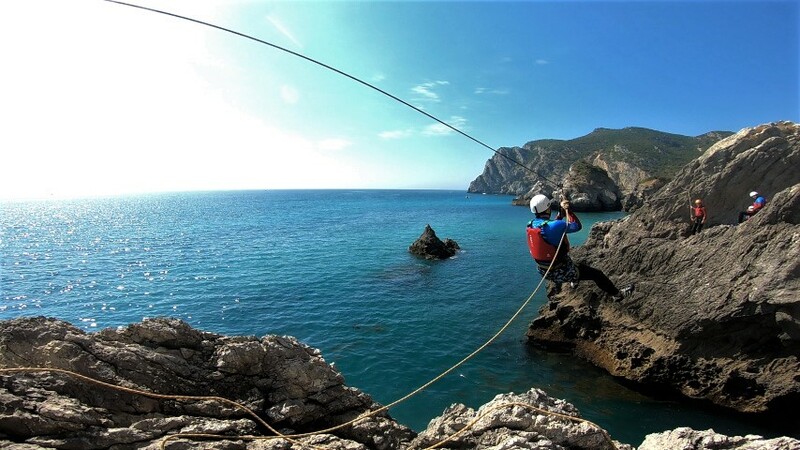 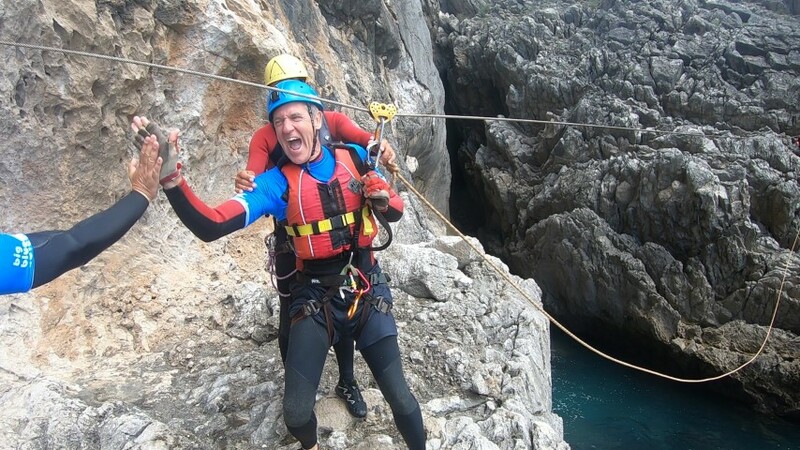 Whether you are on holidays in Algarve or Lisbon, coasteering is a must-do experience!  ‘Activity Only’ prices are depending on numbers, so just send us a message! 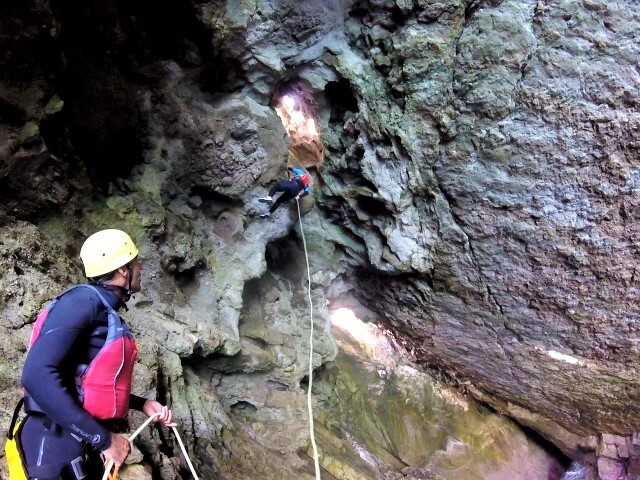 Abseil into a cave near Lisbon! A Great Way To Explore!   I love coasteering in Portugal because it feels like the ultimate adventure, it has it all. 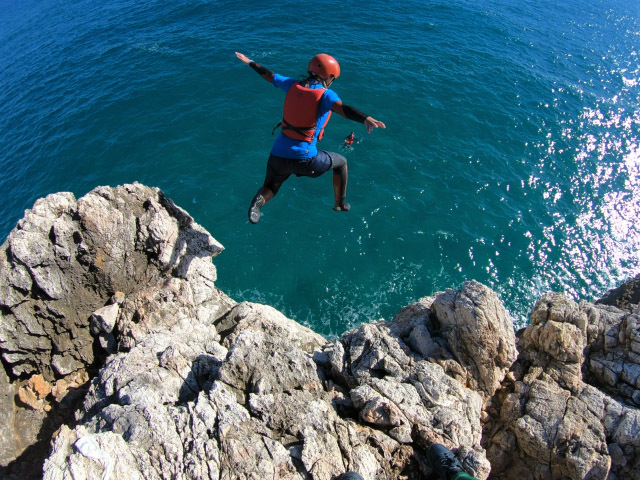 I love the feeling of butterflies in the stomach before you nail a big jump. 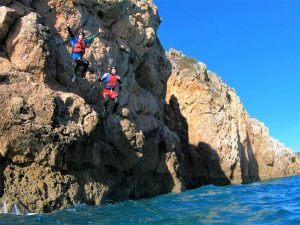 Climbing along cliffs with the waves chopping below your feet and exploring the coast in stunning Portuguese blue seas with the sun on your skin just makes it such an awesome adventure.